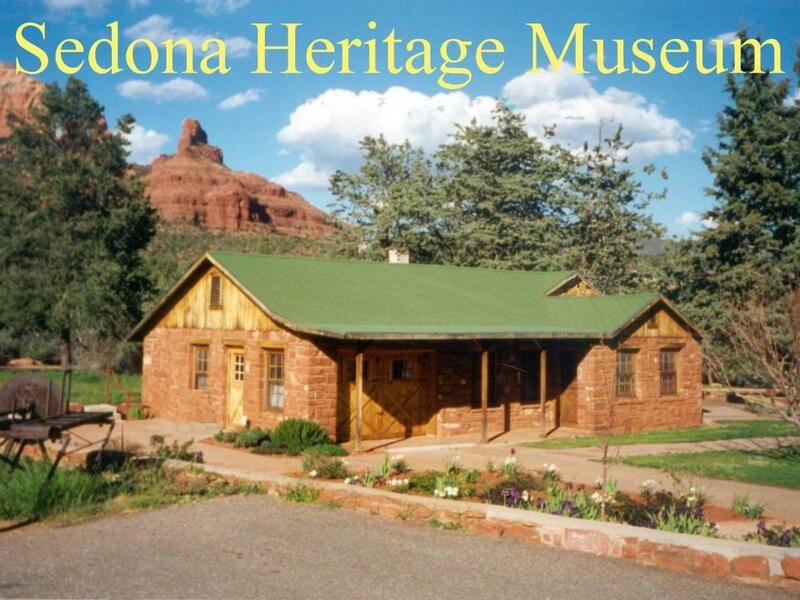 The Sedona Heritage Museum is hosting their annual "Christmas in the Park" FREE open house on Saturday, December 8 from 11:00 a.m.-3:00 p.m. The event extends free admission to the museum and a day filled with special free activities as a holiday gift to residents and visitors. 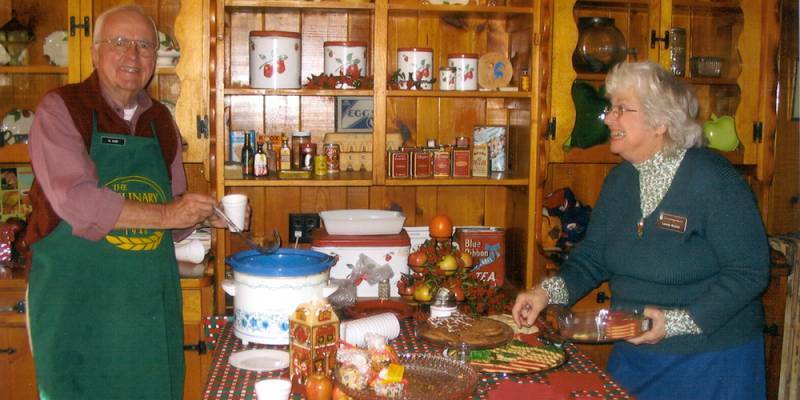 Everyone will be treated to hot apple cider, holiday cookies and free entertainment and activities. A fire will burn in the red rock fireplace of the old Jordan house and the museum will be decorated in vintage holiday decor. 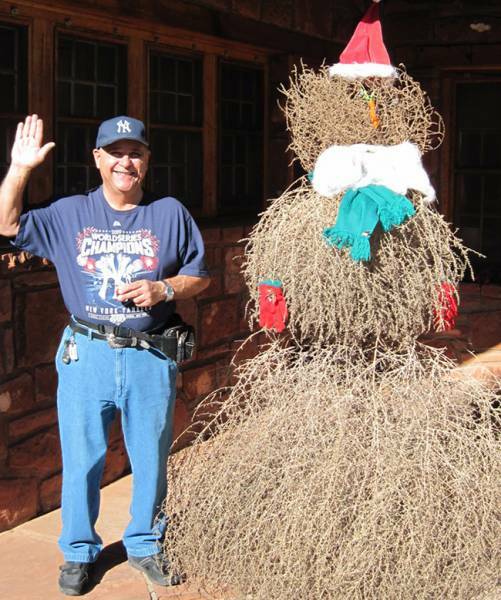 A tumbleweed ‘snowman’ will greet all guests. On stage in the historic Fruit Packing Shed, which is heated, enjoy and learn as demonstrators present: 11 a.m. - 11:30 = holiday wreath decorating using real evergreens and natural materials like the old days with Elaine Gunderson; and 12 p.m. – 12:30 = 'Angels for Christmas' workshop for taking cornhusk dolls to the next level with glitz and bling for tree toppers, ornaments or gift embellishments with Merry Carol Shanks. And, from 1 p.m. – 2 p.m., you can tell your gift wish list to “Cowboy Santa”! Also, set up in the historic Shed will be the Red Rock Quilters displaying their fund-raising quilt and selling drawing tickets. 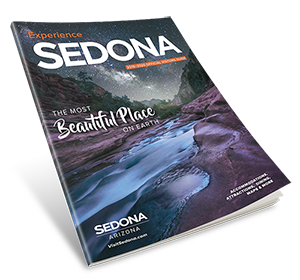 Sedona old-timers and descendants of local pioneer families, including Jordan family descendents, Pat Schnebly Ceballos (Sedona’s granddaughter), Fred Piper (Chapel area homesteader family) and others will be in the Museum's exhibit rooms telling stories about early Sedona, their families and their memories. Some of them have books about their families in the Gift Shop and you can get autographs. 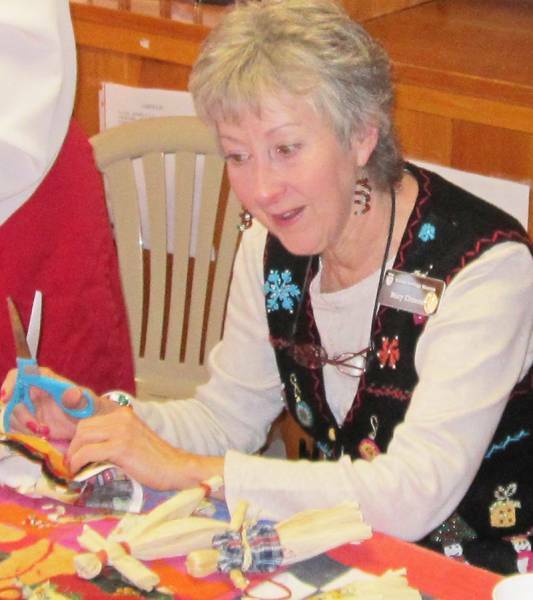 Guests are also invited to make a cornhusk doll or ‘glitzy angel’, write a letter to Santa (that will be mailed for them) or write a letter to a soldier (which will be sent to a group that will disburse the letters to deployed U.S. military personnel). Holiday shopping in the Museum’s Gift Shop will be a “must do”, as you take advantage of the shop’s annual sale. The Gift Shop carries many items made by local artists and crafters, along with unusual gift selections for both kids and adults. And, on the 8th and all through the month of December, people of every age can enjoy making holiday ornaments at the free activity table in the Museum’s historic Fruit Packing Shed. Visitors can make small gifts, adornments for holiday packages or trees and wreaths, or just spend some quality time with family or friends doing this ‘make & take’ on their own, though instructions and samples are provided. Admission, activities and refreshments are all free.